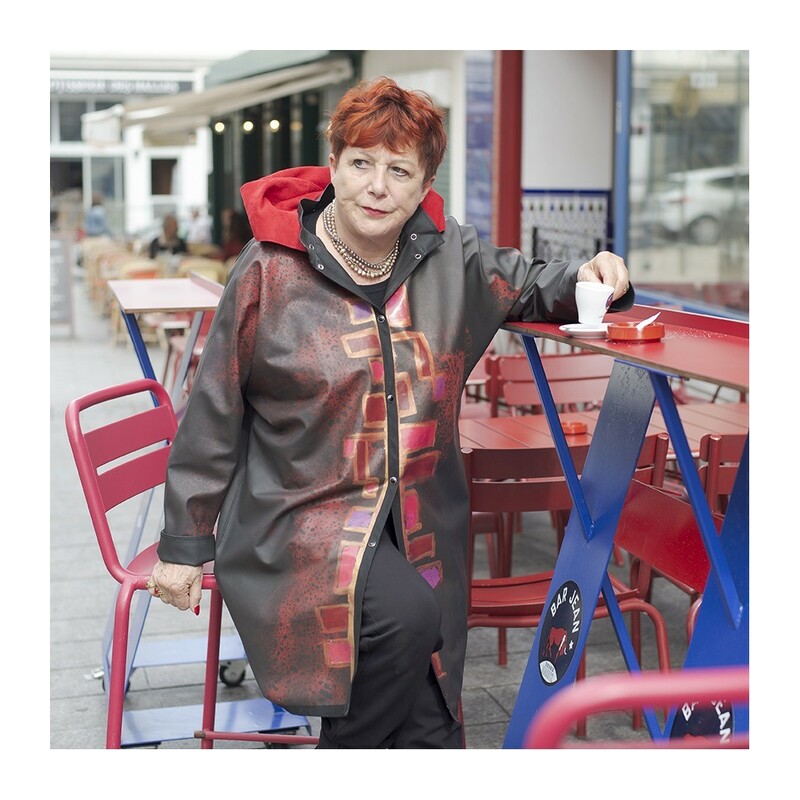 Rain Jacket Wien, designed and handpainted by Iris Mansard. Swingjacket, style art deco, reminds me vienna and the nostalgie of old europe. Existe also in long. 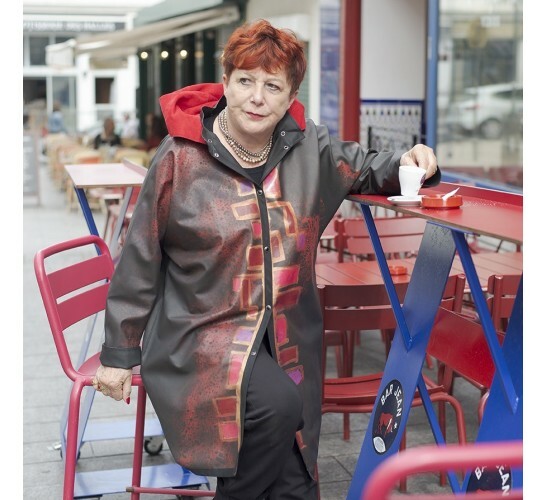 Rain jacket Wien Red designed and handpainted by the artisan and fashion designer Iris Mansard. The rain jacket "Wien" is a exclusive wearable art. It is more than a raincoat, it is a travelcoat, a allweather coat, a windbreaker, a statement.